Most readers will accept the fact that our nation is helping to finance the United Nations’ world-wide “family planning program,” a form of population control. Most rational men and women, however, find it impossible to believe that such programs are really part of a “master plan” to kill off large segments of the world’s population. At that point it became obvious that just as our Lord has given mankind Ten Commandments to guide our lives, so, too, those from “the dark side” have been given their instructions from the “one” they worship. The ten programs of the “guides” are inscribed in eight different languages on the four great granite pillars of the American Stonehenge. On the other hand, should you determine that my assessment is correct, or even partially correct, then you have a moral obligation to decide just what part you intend to play in response to the unfolding world genocide – how you will protect yourself, your loved ones, and the countless millions of helpless human beings throughout the world who have been marked for destruction. My answer is really quite simple. I hold that belief because I have read their writings. I believe they are telling the truth. Just as Adolf Hitler wrote of his plans for Europe in “Mein Kampf” (My Plan), so, too, those who intend to depopulate large segments of the earth have written of the necessity of limiting the world’s population. They fully intend to “exterminate” a significant portion of the world’s population. The fact that the vast majority of Americans have never heard of their intent, of The Georgia Guidestones in Elberton, or of “The Plan” and “The Hierarchy” attests to the degree of control that exists over what the American people have been allowed to know about the occultic forces which are working within our society today. Margaret Sanger published “The Birth Control Review.” In that magazine she openly supported the “infanticide program” promoted by Nazi Germany in the 1930s, and publicly championed Adolf Hitler’s goal of Aryan white supremacy. In the years prior to World War II Margaret Sanger commissioned Ernst Rudin, a member of the Nazi Party, and director of the dreaded German Medical Experimentation Programs, to serve as an advisor to her organization. I believe this information has been intentionally suppressed because those who were killed were largely Christians, and the covert forces which control the reality of the American public today do not want the followers of Jesus Christ in our nation to awaken to their peril …until it is far too late. Hitler hated not only Jews and Judaism, he also hated Christians and Christianity as well. Why was that? The fact that most of our citizens have never heard of Madame Blavatsky, theosophy, or that two of theosophy’s most ardent disciples were Adolf Hitler and Margaret Sanger clearly reflects the degree of control that exists over what the American people have been allowed to learn about the occultic forces at work in our nation today. As a researcher on the subject of the occult, I regularly receive letters and publications from the Lucis Trust. The Lucis Trust of today is the modern-day extension of the “Lucifer Publishing Company,” an organization founded by Alice Bailey during the early years of the twentieth century. Alice Bailey was a disciple of Madame Blavatsky and the nominal leader of the Theosophical Society between the early 1900s and the late 1920s. Because the name “Lucifer” had such a bad connotation in those days, Alice Bailey changed the name of her organization from “The Lucifer Publishing Company” to “The Lucis Trust.” The nature and beliefs of her organization, however, have always remained the same. A full discussion on the subjects of population control and occultism is far beyond the scope of this short monograph. Full documentation on these subjects will be found in my soon-to-be-published book, “None Dare Call It Genocide.” At this point let me simply offer a few examples of the views expressed by those who publicly advocate population reduction and/or genocide. What is the message found on The Georgia Guidestones? What is the plan of the “guides”? If you read occultic literature, you will soon find that those who worship Lucifer today refer to a “Hierarchy” that guides both their actions and the affairs of the world. Who are the “Hierarchy”? “The spiritual Hierarchy makes definite use of the twelve spiritual Festival periods. We can learn to cooperate with the members of the Hierarchy as they work to bring the divine Plan to the attention of men and women of goodwill and spiritual aspiration everywhere throughout the world. “Maintain humanity under 500,000,000 in perpetual balance with nature.” (This-Ed.) Means the entire human race at its climax level for permanent balance with nature. To this very day, 24 years after the end of that grotesque human experiment, none of the perpetrators of that atrocity have ever been either accused or indicted for their crimes. Back in 1932, when the Tuskegee Study began, Margaret Sanger’s ideas had already begun to infect the minds and souls of physicians and scientists here in America. In his excellent monograph, “Remembering Silent Spring and its Consequences,” Professor J. Gordon Edwards quoted from a speech delivered by Victor Yanconne, founder of the Environmental Defense Fund. In that talk, Mr. Yanconne related a story told to him by a reporter who had asked Dr. Charles Wurster, one of the major opponents of DDT, whether a ban on DDT wouldn’t actually result in far greater use of much more toxic pesticides. All of the organizations mentioned above continue to oppose efforts to have physicians warn women of the risk they face when they submit themselves to first-trimester abortions. Before carrying out all surgical procedures in America “advised consent” is required, except for abortion. Another dramatic example of population control is the tragedy being played out in the “former” Soviet Union today in regard to male longevity. In Russia, the life span of the average Russian male has dropped precipitously over the past several decades. In addition to blocking intervention by neighboring nations, Madeline Albright also insisted that the word “genocide” must not be used, and that the United Nations forces stationed in Rwanda were not to be allowed to intervene. 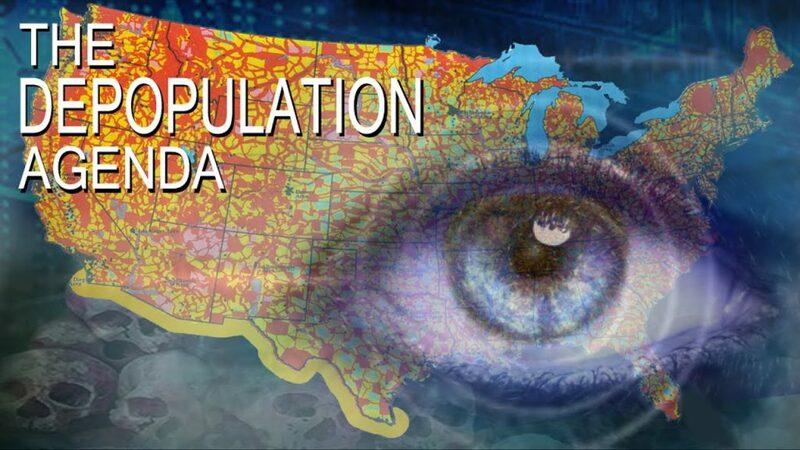 There are literally dozens of other examples of population – control programs which have been implemented throughout our world by modern-day “Malthusians” in their effort to ensure that the world population is dramatically curtailed. To date it is estimated that far more than one billion human lives have been terminated as a result of the world-wide abortion programs financed by the United States. In the May 1996 issue of “Special Warfare,” a publication of the John F. Kennedy Special Warfare Center and School, it was noted that: “The immediate future may present other daunting challenges to Civil Affairs units. I personally believe that God expects each and every of us to become involved in the affairs of this world until He returns. Furthermore, I believe that all human life is sacred. We are told that Christians are to be the “salt and light of the world,” the preservative that keeps humanity from rotting. What is the Christian Church doing today to preserve the lives of the inhabitants of God’s earth; what are you doing to protect the lives of those who have been targeted by the forces of darkness? B. Order my four-tape set on Population Control which includes information on The Georgia Guidestones and the plan of the “guides.” You have my permission to copy and distribute my audio tapes and this monograph, in order to disseminate this information as far and wide as possible. C. Get involved in local political organizations. Speak out on these matters on talk-radio, in your church, and to your friends. The life you save could well be that of a loved one …a friend …or your own. 1) Copies of the material obtained in Elberton, Georgia, on The Georgia Guidestones, and a four-audio-tape set on “Population Control” are available from Radio Liberty: P.O. Box 13, Santa Cruz, CA, 95063. 2) Bartlett’s Familiar Quotations: Fifteenth Edition: Little, Brown, and Company: p. 824. 8) Killer Angel: p 74: see also: Woman’s Body, Woman’s Right: Linda Gordon: New York: Penguin Press: pp 229-334. 21) Copies of the text of Dr. Keen’s remarks are available from Radio Liberty. 27) Environmental Overkill: op cited: pp 76-77 and 192: see also my 2-hour interview with Dr. Dixy Lee Ray: see also Dr. Edwards’ treatise on DDT, available from Radio Liberty. 30) An audio-taped interview with Peter Hammond of Front Line Ministries is available from Radio Liberty: also see Holocaust in Rwanda: Peter Hammond: available from In Touch Mission Int’l (ITMI), P.O. Box 28240, Tempe, AZ, 85285.